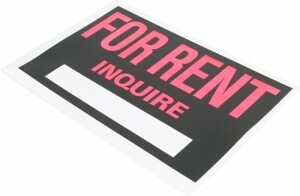 Anyone who owns a rental property knows that it can be time consuming when a tenant moves out. In many cases, the inside of the property is due for a clean up and refresh. Coordinating contractors for cleaning, painting, and laying down new carpet on the inside can be busy, especially while in the midst of trying to find a new tenant. With all of this going on, it can be easy to overlook the outside of the property. Avoid the long grass, overactive weeds, unruly bushes, and pinestraw that is missing in action with a landscape refresh from Hutcheson Horticultural Company in Woodstock, GA. The process is simple. After you call us, our trusted maintenance team lead stops by the property to estimate the requirements for the job. Consideration is given in the amount of materials such as pinestraw bales that are needed, an estimated amount of time to complete the job, and the number of crew members needed. All of this information is compiled to put together a formal estimate. The estimate is then sent over to the property owner or manager. At that point, the ball is in your court. You have the choice to either accept the quote and move forward with the rental property clean up services of Hutcheson Horticultural Company or choose to go a different route. Our trusted maintenance crew has years of experience with rental property clean ups and a variety of other maintenance services. For your free rental property clean up estimate in Woodstock and the great metro Atlanta area contact us today.